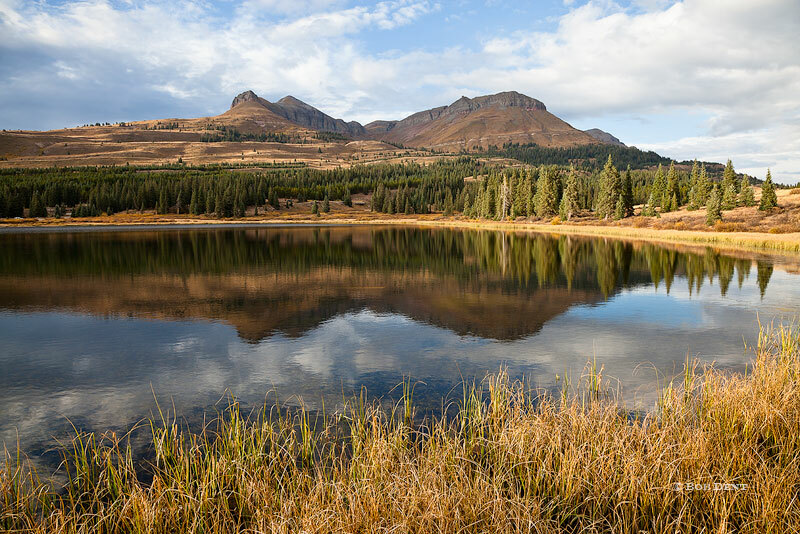 This autumn I spent time in several different places around Colorado, providing me with a variety of different images. From the Front Range, through the Elks and into the San Juans, this group represents my favorites from this fall. 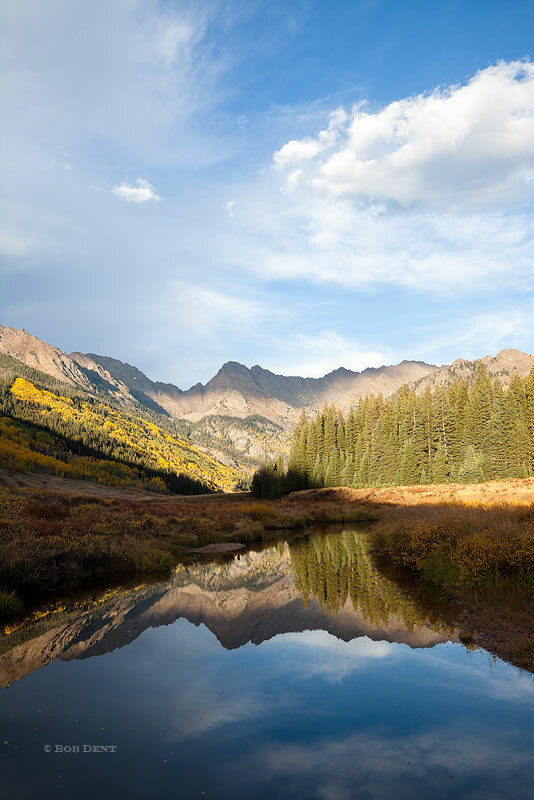 The Gore Range reflects in Piney River, White River National Forest. Photo © copyright by Bob Dent. 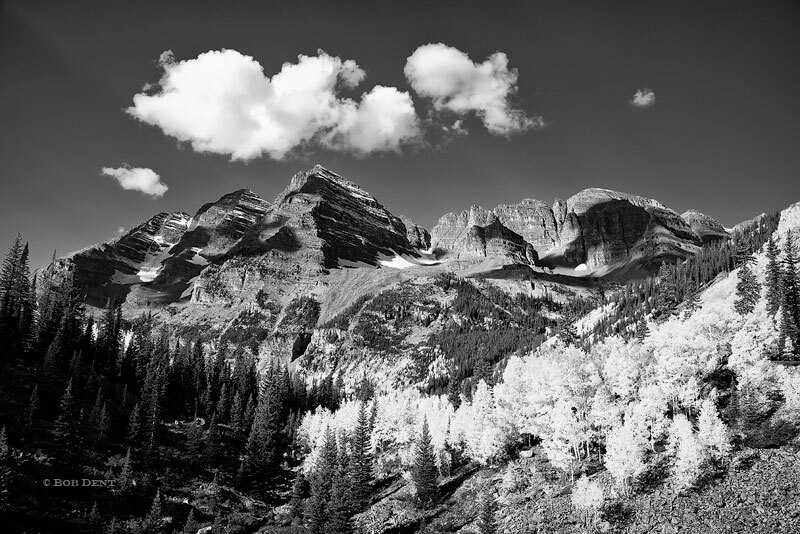 Aspen trees along Maroon Creek, Maroon Bells Snowmass Wilderness, Colorado. Photo © copyright by Bob Dent. 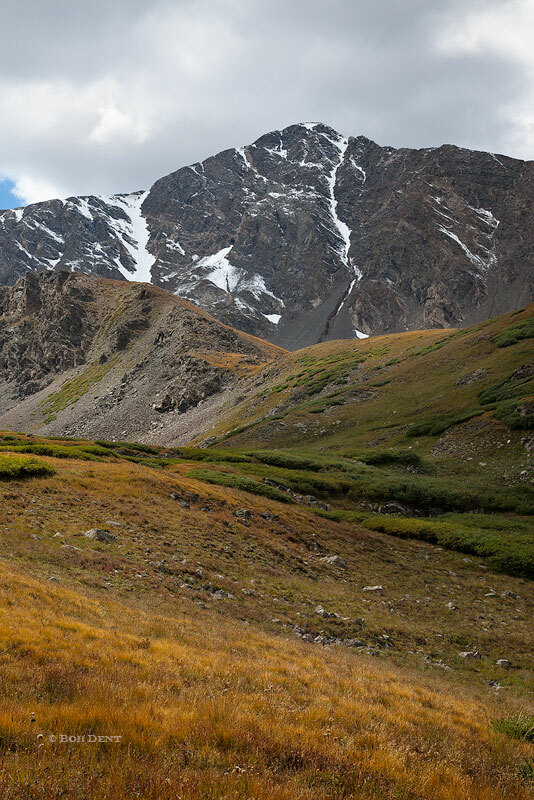 Autumn touches Torreys Peak, Arapahoe National Forest, Colorado. Photo © copyright by Bob Dent. 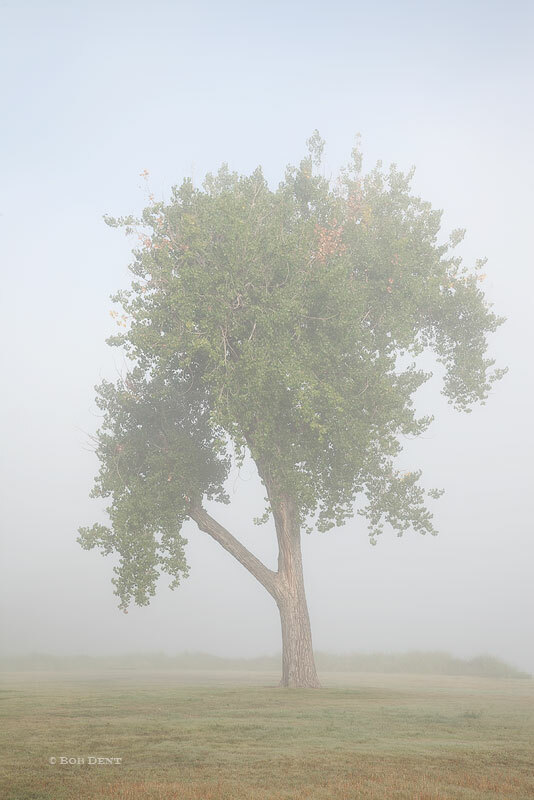 Lone tree standing in fog, Colorado. Photo © copyright by Bob Dent. 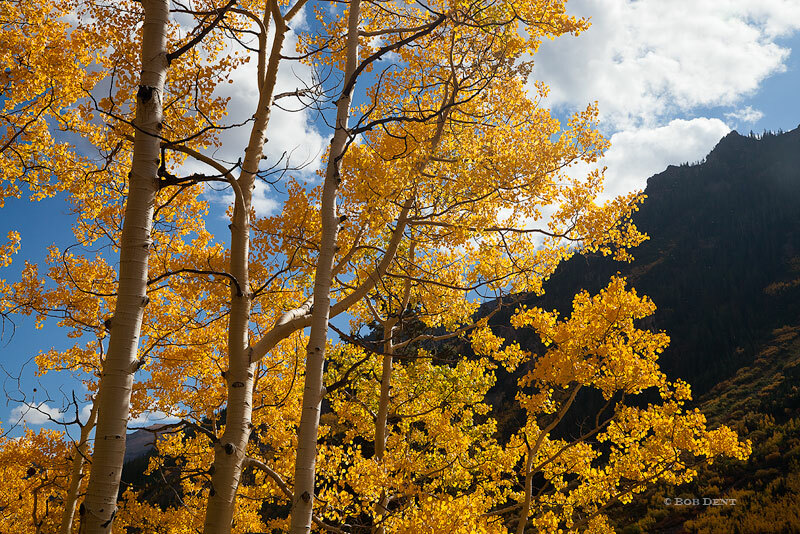 An autumn view of the Maroon Bells, Maroon Bells Snowmass Wilderness, Colorado. Photo © copyright by Bob Dent.